Dehradun, 12 Apr: Carman School students witnessed one of the oldest art forms, an Odissi dance, by Janhavi Behera, here, today. The programme began with a welcome speech by Summit Dangwal. He also gave a brief introduction of the dancer. 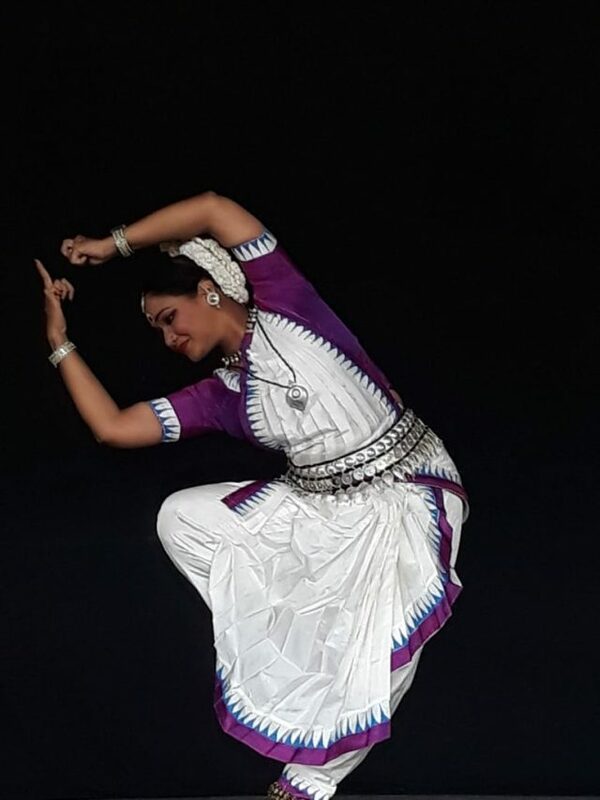 Janhavi Behera began with her formal training in Odissi dance in 1991 under the guidance of Guru Ramesh Chandra and Yudhistir Nayak. She has been awarded the ‘Shrinagar Mani’ along with other prestigious awards. The dance started with ‘Manglacharan’. She was accompanied by Harpriya Swain on vocals, Alok Ranjan on Mradangam, and Shantanu Mishra on the flute. The Odissi dance mesmerised the students. After the dance, the dancer interfaced with the students. She explained the various forms and gestures. ‘Sita Haran’ and ‘Shri Krishna’s childhood’ were beautifully depicted. The programme concluded with ‘Sabha Parnam’.